It was a Wednesday evening in 2007, outside the little chapel building of the Chancellor College campus of the University of Malawi. I was in my third year – and hardly coping with my studies. I had, with a small circle of friends, just completed an hour of fierce intercessory prayers (the pentecostal/charismatic kind) in which we “stood-in the gap” (a metaphor borrowed from the idea of the watchman in Ezekiel 22:30). I recall feeling emotionally exhausted by it all: we had been praying quite intensively for god to prepare us for the challenging path ahead. We would be launching a Christian music festival centered on what we called “Holy Hip-Hop” as a way of broadening the appeal of the Christian faith to our fellow youth who seemed disinterested. On the way back to the dormitories, I drifted towards a close friend, now a medical doctor, and said “how many times will we keep repenting and begging for mercy?” to which she responded “it’s not that we are saying we are filthy as much as we are really saying just how perfect and holy god is, and how honored we are to be considered his co-workers.” Upon hearing these words, I could no longer cope under this self-inflicted ritual of inadequacy, unworthiness, and guilt. The final pillar that had propped up all the things I was raised to believe came tumbling down. But there were other challenges as well, beyond just the psychological effects accrued from the daily ritualistic self-deprecation and self-loathing. Coming to terms with a message of a deity who seemed largely unappreciative of my indigenous culture too was a challenge. It is virtually normal in Malawi today, for instance, to encounter people with three names, a customary or traditional first-first name by which they are known at home among family and kin, and a Christian second-first name by which they called in an official or professional capacity say at work, school or on official documents such as passports, and then a surname which identifies them with their family: so that names, in general, read like this, Simbazako John Chikwemba (not a real person) or in my case, Mphatso Moses Kaufulu. The Christian name in the middle serves as the formalizer, something which was of exceeding importance under colonial rule and in those parts of the country which were under de facto missionary administration such as the Scottish missionary areas of Northern Malawi. Additionally, the whole message of repentance in Christianity itself was and is for me quite problematic. As we well know, it pivots around the death-and-resurrection story (the sacrifice made by the Christ in our place to god), and whose consequence is summarized in the passage of Corinthians as follows: Therefore, if any man be in Christ, he is a new creature: old things are passed away; behold, all things are become new. At the personal level, one is invited to embrace the new creature which they have supposedly become upon the proclamation of faith, albeit it at the expense of selfhood built upon and invested in one’s cultural background and its attendant artifacts: a critical transformation indeed at the onset of missionary work on the continent. To some extent, the interposition of the Christian name, which I illustrated above, also functions in that way – to announce this breaking with one type of cultural reference in order to adopt another more superior reference: often these new names accompanied baptismal ceremonies as evidence of a person, child or baby’s transition into Christendom. This point is important because Christianity does not profess a story of collective salvation but rather individual salvation, so that in acquiring salvation, one has also acquired a foundational concept of a stand-alone, independent self as a central tenant of a pragmatic Christian faith. But collectively, this has functioned as a grand eraser of people’s history, along with much of the potential for an honest and sincere psychological, political, and sociological dialogue with the colonial and missionary experiences we as a people underwent and how they contributed in different ways towards the eventual post-colonialism in which our societies find themselves. This is not to mention the general unsavoriness of both the missionary and postcolonial experiences. 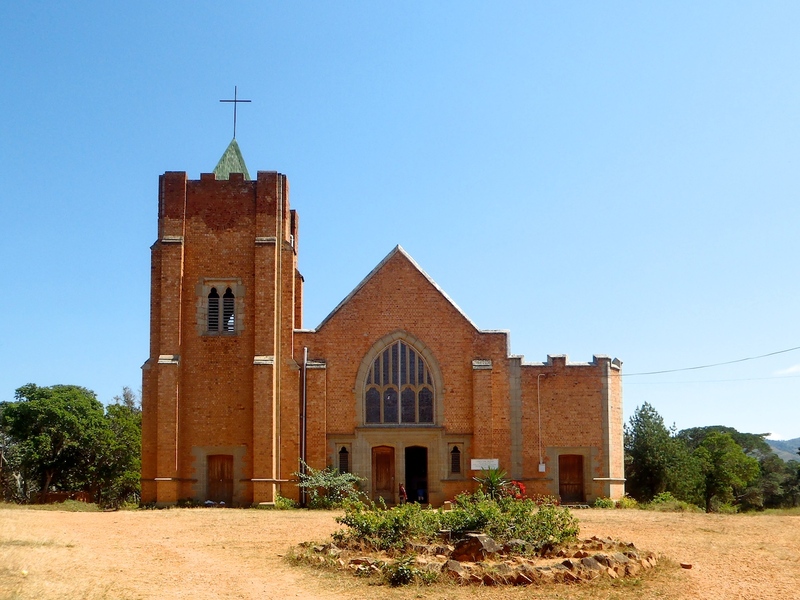 Indeed, in Zambia, a missionary once puzzled over the reluctance of “the African to abandon his ways” for Christianity, thus putting the missionary in the position of having to flog his flesh so that he might save his soul. (South Africa has done well to keep this critical dimension of their decolonization alive in which confronting and wrestling with apartheid and colonialism has been adopted as an integral part of the post-apartheid healing process and its nation building. In their courage, South Africans actively refuse to forget.) I have thus often imagined that this repentance-centered message was one of the ways through which vast swaths of African history, heritage and culture were intentionally forgotten by Christianized Africans in Malawi; and in addition, it was also a way through which much of the violence associated with the imperial period was forcibly forgotten. Instead of true reconciliation, we acquired uncritical amnesia: so that in parting with our old selves, we also parted with much our histories which were part of the old creature. Moreover, as people striving to rebuild our societies after colonialism, what did we gain to replace what we were intentionally forgetting about our collective selves? For my final point, I will merge two further observations together in the interest of space. An additional epistemology which emerges out of the salvation story of Christianity is the preeminence of the human creature over all other creatures and living things which cohabit with us on this planet. Criticisms of this arrogation of significance are already abundant even in extant Western literature such as the Frankfurt school’s critical theory, as well as (post)modern thinking (I will force Foucault under the latter umbrella as well). But from my African perspective, particularly southern African epistemology, the idea of the preeminence of human beings over the rest of “creation” is quite a foreign and absurd one amongst many ethnic groups. The effect of Christianization was not merely the erasure or forgetting of collective history but also a fundamental reorientation of the African attitude towards nature and the environment. Nature and the environment had become something with which to fulfill the wants and needs of human beings — so that Africans had, as a foundational article of faith and a relation with a deity, to imagine themselves as separate from, rather than parts of and within the ecological networks and relations of nature. This is similar to, or perhaps a reproduction of, the concept of the sovereign, which emerged after the enlightenment in Europe: the concept of the individual as the center of meaning and the locus of organizational agency. Finally, with this attitudinal reorientation, a subsequent system of ethics evolved which took at least two primary characteristics. Firstly, that morality was preordained and as such flowed from a higher being — so that to be moral was to observe and adhere to the precepts outlined by that being through his human vessels. Secondly, that with the permission of that being, doing anything at all – no matter how horrendous or how kind – was the moral duty of the human being. If an act, whatever it might be, was god-ordained, then that act had moral virtue obtained in that external way: acts had thus transformed from being dialogically right or wrong within the realm of human interactions and endeavors, to being exogenously imbued with rightness or wrongness. From here, one can trace the tribal as well as the nationalistic cleavages of African Christianity we see in the present context in which god seems to be a passport carrying citizen of the tribe or nationality concerned. The outcome of these impacts has been a very complicated spiritual-religious situation against the background of a supposedly redemptive amnesia, so that postcolonial and post-independence politics seems de-contextualized and ahistorical, resisting associations with the historical factors material to where we find ourselves today. This is especially the case in Zambia where Christianity was adopted as a national religion by that country’s first president, incorporating different national cleansing rituals into forms of statecraft; things that still happen to this day. My recommendation is not that we return to fundamental African roots (hard as that might be given that much of those roots are forgotten), but that some sort of contemporary process of self-writing and self-identification is set into motion: that is, we must stop repenting ourselves into forgetting the contemporary situation, as well avoid enforcing an endless process of uprooted, suspended regeneration upon ourselves. (For some thoughts on how this happens today, see http://www.iaffairscanada.com/2016/private-forgiveness-for-public-sins-the-case-of-malawis-amoral-politics). I say this because by and large, people are defined by what they collectively remember rather than what they imagine as atomized individuals having rinsed away their memories.